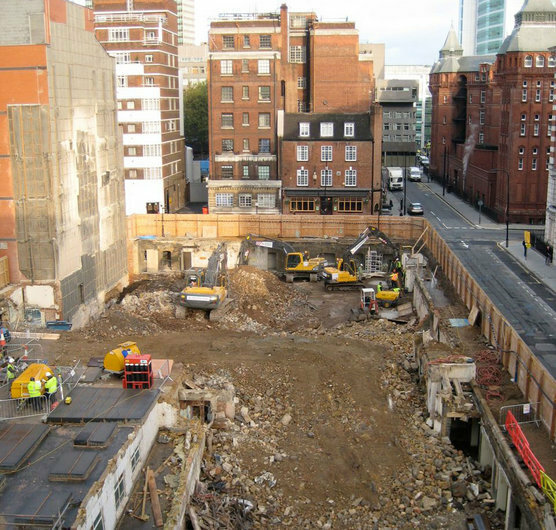 On the 12th October 2009 Skanska commenced work on the site of the new UCLH Phase 3 Cancer Centre in Huntley Street, London, following the demolition of the Elizabeth Garrett Anderson Hospital on the site earlier this year. Hopkins Architects are working closely with clinicians and staff to design a unique cancer facility which both accommodates new and innovative models of care and treatment, but also creates a therapeutic environment for patients and their families and carers. Planning permission for the scheme was granted by the London Borough of Camden on April 23rd 2009 and the project is targeting completion in Autumn 2011.